After Suzuki pulled out of Canada, Val Petrella began selling Suzuki and Argo all-terrain vehicles. Petrella says Suzuki Canada has treated him fairly during and since the withdrawal and he did not participate in the legal action against the automaker. He is also a sales-and-service point for Suzuki automobiles and specializes in selling used pickups and Jeeps. Brands come and go, but once a dealer, always a dealer. That’s the lesson from discussions with former Suzuki car dealerships three years after the company closed shop in Canada. At its peak, Suzuki had 90 points in Canada, of which about a third were paired with Subaru, says Bill Porter, president of Suzuki Canada. Some of those paired stores converted to Subaru even before Suzuki’s March 2013 announcement that it would cease selling cars in Canada by that year’s end. While about a third of former Suzuki dealers are now single-line Subaru dealers, a similar number took on other franchises — prime among them, Mitsubishi. A few dealers were ready to simply sell their stores and retire. Most of the rest – typically single-store operations – became used-car operations. 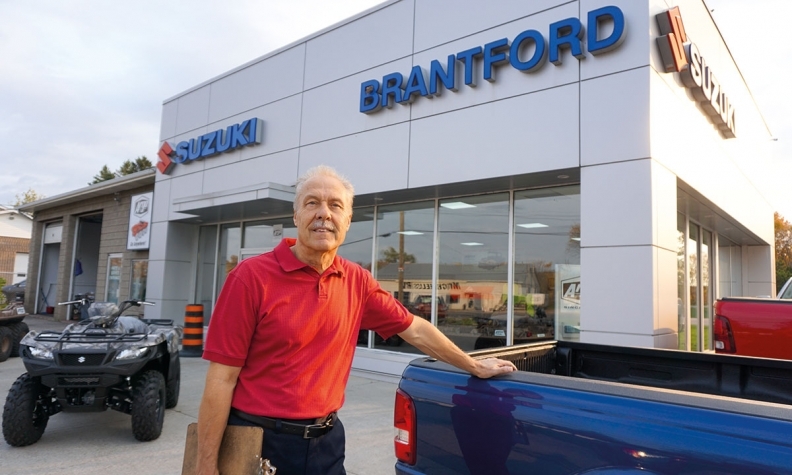 Some former Suzuki franchisees have experienced more than their fair share of abandonment. 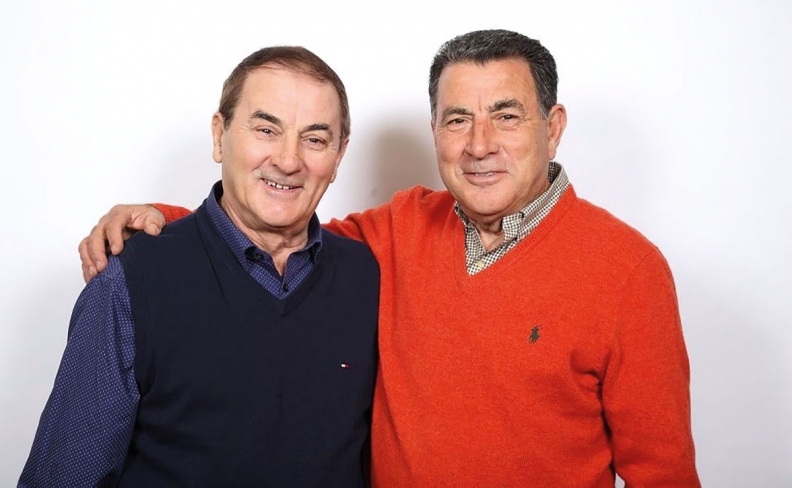 The Kraishnik brothers in Kitchener-Waterloo, Ont., had Saturn, Saab and Isuzu franchises pulled out from under their feet even before Suzuki. “The letter ‘S’ doesn’t fit well with me,” said Ron Kraishnik. Still, for the Kraishniks, losing Suzuki wasn’t exactly the end of an era. A long-time used-car operation, they took on Saturn and Saab just in time for GM to pull the plug on those brands in 2009. Then Suzuki approached them to fill the gap, but “it was basically a very small part of our business to begin with. It was for a short couple of years,” said Kraishnik. Now Saab KW is primarily a used-car op, although like many other former dealers it still does factory-authorized parts and service business for Suzuki. The Vigliatore brothers had two Suzuki stores in the Greater Toronto area. They did not participate in the lawsuit against Suzuki Canada. Vigliatore says he was treated fairly by Suzuki Canada and he did not participate in the lawsuit by other former dealers. David Baker of South Deerfoot Suzuki in Calgary was heavily involved in the legal action. He said dealers were well represented by the law-firm Lax O’Sullivan Lisus Gottlieb and had great support from the Canadian Auto Dealers Assn., but “not all dealers were totally satisfied” with the settlement. “Suzuki paid X number of dollars and we decided which dealers got how much ... depending on volume, building size etc.,” Baker said. That process accelerated after Suzuki’s demise, with such success that International Motors is currently doubling the size of its shop and adding 5,000 square feet (470 square metres) of showroom space. “The last three years combined our net profits were better than the previous seven or eight years with Suzuki,” he said. Ex-Suzuki dealer Del Mastro Motors in Peterborough, Ont., has almost completely withdrawn from the car business to focus on recreational vehicles. “We did used cars for a while, but it was hard to do a good job on both,” said founder Mike Del Mastro.